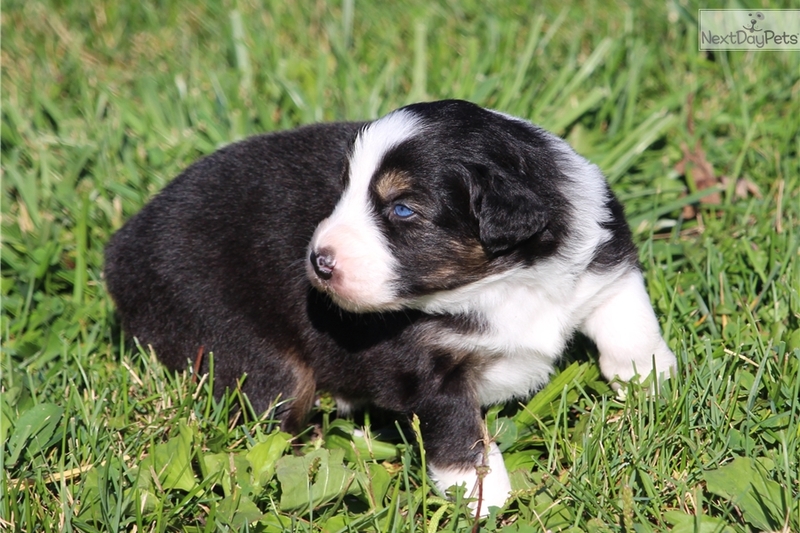 This Australian Shepherd nicknamed Corona sold and went to a new family. 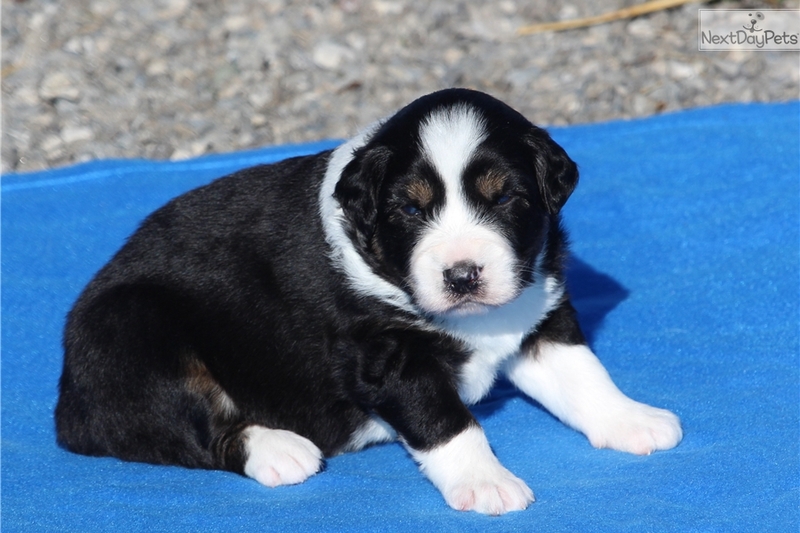 Corona is a stocky, solidly built black tri boy with a full collar. He will be vet checked and given his first vaccination, be dewormed and started on Interceptor. He has been raised with the Puppy Culture program which helps him reach his full potential. He is AKCregisterable and parents have had their hips and elbows OFA rated (good hips, normal elbows), are CERF/CAER eyes clear and DNA tested clear of MDR1, CEA, prcd-PRA and HSF4 hereditary cataracts and more. He is clear of MDR1 and HSF4 by parentage. We feed raw food and premium kibble and pups are raised inside so use used to normal household activity. Our pups are available to an approved home and comes with a health guarantee, and is sold on contract with a spay/neuter agreement (non breeding.) We require pups to be picked up in person, no shipping. ************* Whether you are looking for an Aussies for a companion or even for show, it pays to choose carefully and get the best you can. 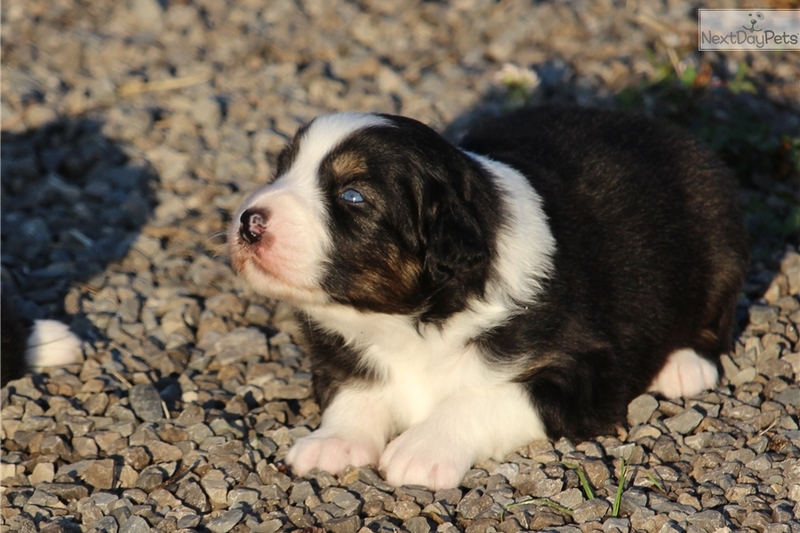 Find a breeder you enjoy working with as they will be your source for advice as you raise your puppy. We take our role as stewards of this amazing breed quite seriously. 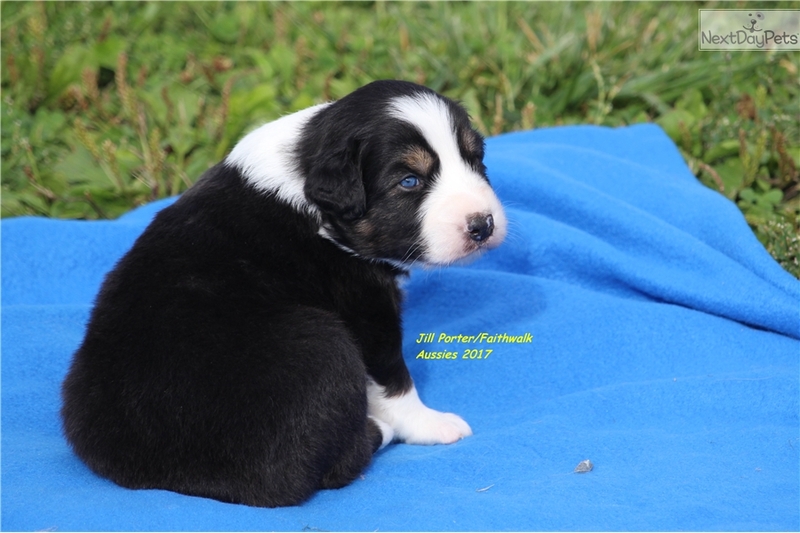 We are not just breeding to crank out pups to sell, but plan each breeding with the goal of correcting minor faults and maintaining the essence and quality of the lines we have. For us it's quality over quantity. By doing all recommended health testing, it ensures we've done all we can to produce healthy, sound puppies. 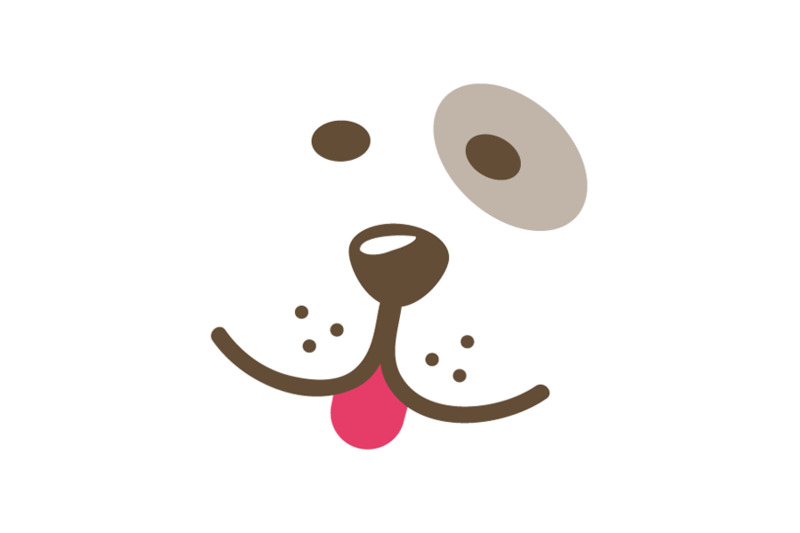 We also evaluate the structure and breed type (how well the dog meets the written breed standard) and most of all assess the temperament, since that is what affects the day to day life with the dog. Our dogs are AKC or AKC/ASCA registered. 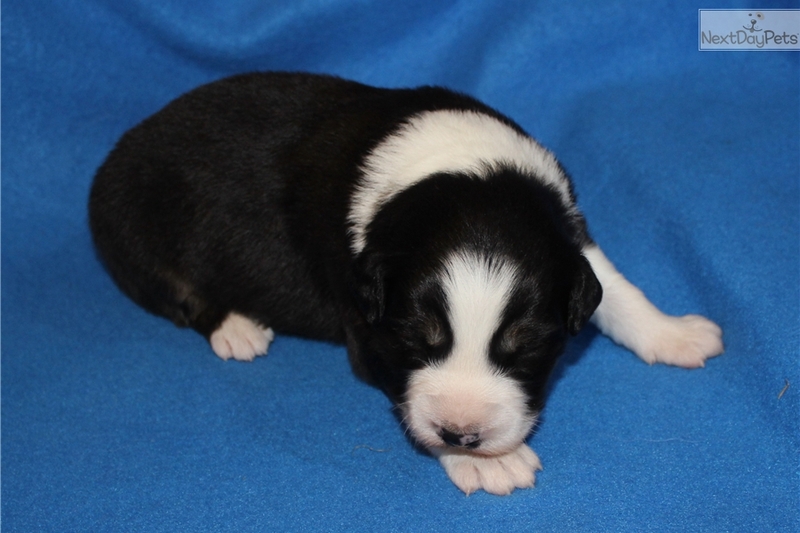 Pups sold as companions with limited registration and spay/neuter agreement. Full registration for show/breeding on limited basis, to experienced show homes only, not just for casual breeding. 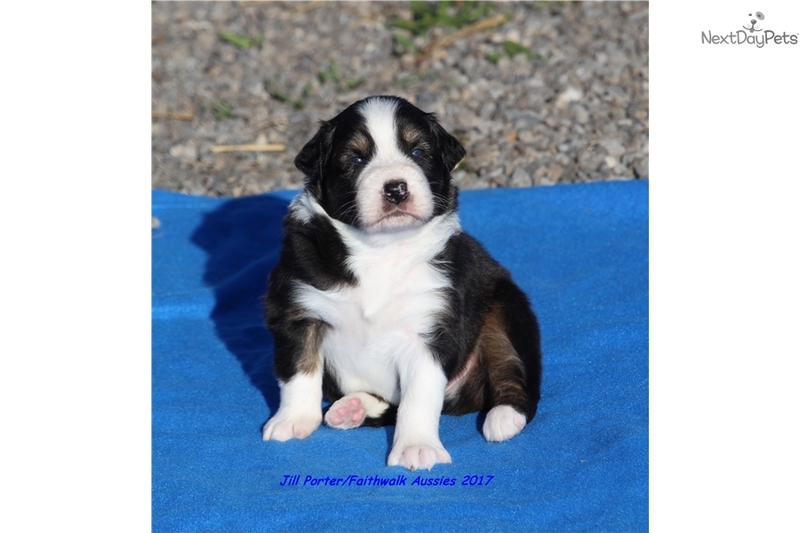 Puppies come with AKC or AKC/ASCA papers, premium food, toys, pictures of parents and pups since birth, copies of the parents health test results, and info on Aussies and general puppy care. We also have an extensive health guarantee. They are current on vaccinations, dewormings and are started on Interceptor for heartworm prevention. 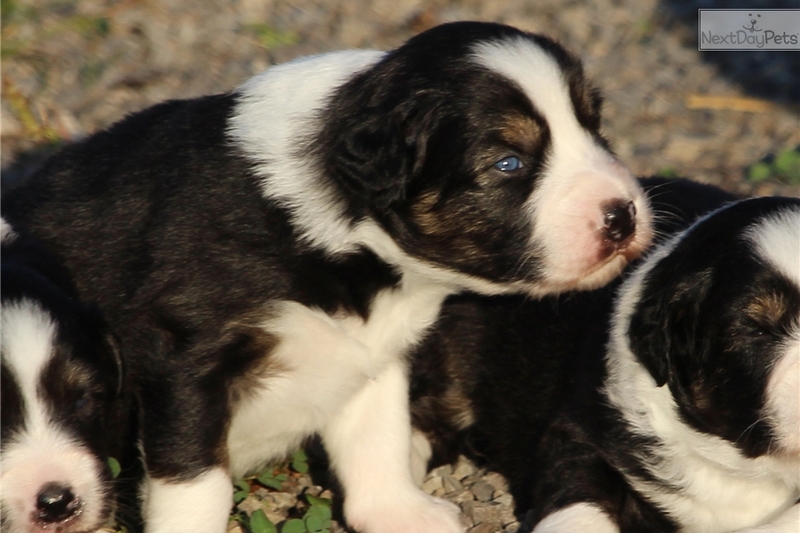 Pups are born inside and undergo the Bio-Sensor program to maxmimize potential. We feed a premium diet (raw food and supplements, and premium dry food) and put a lot of thought, care and passion into everything we do with our dogs. We start crate and potty training, and we take the pups on several car rides before they leave. We also start them on grooming training. We want them to have appropriate, caring, permanent homes once they leave us. We keep a smaller number of dogs so each dog gets plenty of attention daily. 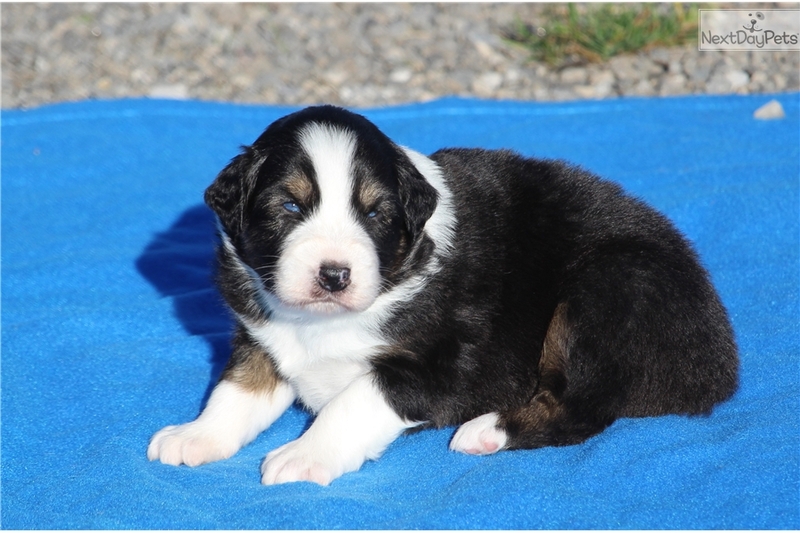 We get to know each of our pups very well too, so we can help match you with a puppy with the right temperament. All my dogs and puppies are available to approved homes only. We reserve the right to refuse sale of a pup or dog. I don't ship puppies. It is best they are picked up in person so I can meet you and introduce you to our dogs. I am starting a waiting list and taking deposits to hold your place in line to choose a pup. 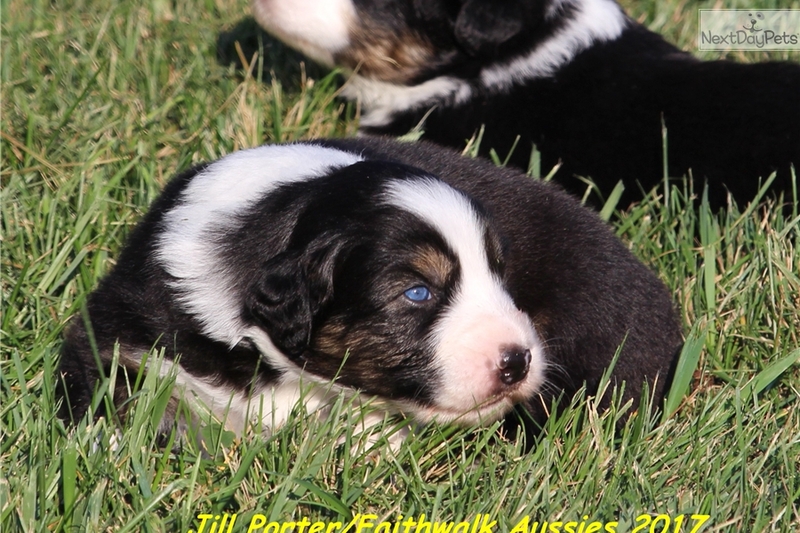 Check out my website at http://qualityaussies.webs.com/ for so much more information on the breed. Email for more information.